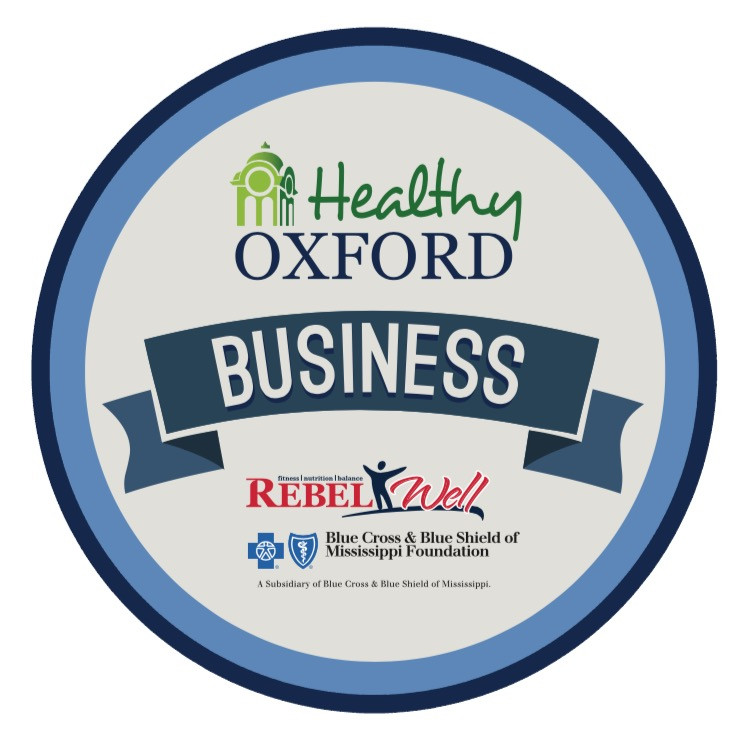 Oxford, December 12, 2016: RebelWell continues to highlight Oxford businesses that make health and wellness a priority in the workplace. December’s spotlight is placed on FNB Oxford. FNB’s continued wellness efforts make it clear they believe in the importance of wellness for their employees. Some of FNB Oxford’s wellness efforts include team competitions and various challenges throughout the year. The team challenges have included walking and logging miles, water consumption and healthy eating. Prizes are awarded every two weeks, during a challenge, to keep the momentum and participation high. 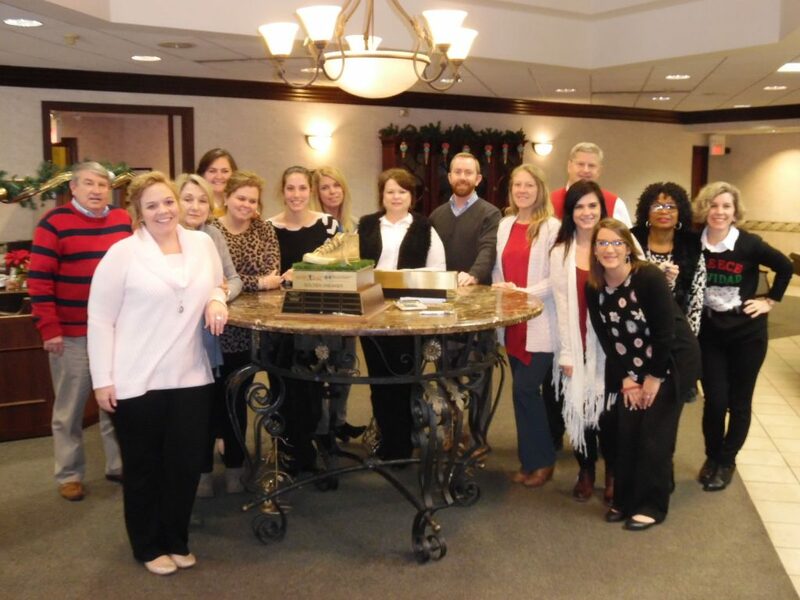 FNB Oxford also has a recognition program in place for individual achievements such as employees who log 150 miles over a six-week period as well as recognition for employees averaging 20, 30 or 40 miles per week. In addition to in-house wellness competitions and recognition programs, FNB Oxford has partnered with their health insurance provider, Blue Cross Blue Shield of Mississippi, for annual on-site health screenings for all employees. With a 77% employee participation rate, FNB Oxford will offer on-site screenings for the third consecutive year in 2017. Additionally, health and wellness representatives from BCBS visit quarterly to offer information about nutrition and healthier lifestyles. FNB Oxford recognizes the importance of screenings because the results may help identify health concerns before they are serious health problems. Several FNB Oxford employees accept the ‘Golden Sneaker’ traveling trophy which will be on display at the main FNB branch located on the Oxford square. 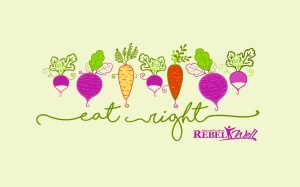 RebelWell project coordinator Wendy Carmean expresses her appreciation of FNB Oxford’s efforts to provide a healthy workplace and wellness opportunities for their employees. “We hope through their example and the encouragement of HealthyOxford|Business, other businesses will do the same,” Carmean said. FNB Oxford will display the RebelWell Golden Sneaker trophy at their main branch located on the Oxford square for the upcoming weeks and permanently display the HealthyOxford|Business window decal signifying they are doing outstanding things in the wellness space. Formerly First National Bank of Oxford, FNB Oxford is a full-service bank that opened its doors in 1910 and remains a local, neighborhood bank with friendly employees and an investment in the Oxford community. With employees and directors who serve on many community boards, the bank is represented in almost every civic organization. FNB Oxford has four locations in Oxford and a new location in Tupelo in the Fairpark District. For more information, visit FNB Oxford online at www.fnboxford.com.